When it's too hot to play or thunderstorms are raining out your outdoor plans, consider Regal free summer movies to keep the kids happy. What could be better than air conditioning, watching a movie on a big screen for free, and maybe even munching on a bucket of popcorn when the weather isn't cooperating? Since 1991, Regal Movie Theaters has offered free movies during the summer to keep kids and their parents entertained in an event called the Free Family Film Festival. The movies are rated G and PG only and start at 10 a.m. on Tuesdays and Wednesdays. Get there early until you get a feel for how many people show up at your local theater to ensure a seat. Seats are available on a first-come, first-served basis, and because of limited theater space, showing up at the last minute may leave you and your children disappointed. In some locations, movie goers line up an hour before the show starts just to ensure that they get seats, and it's a popular outing with daycares and camps. Tickets will not be available in advance; they're only sold at the theater on the day of the showing. During any week from June through the beginning of August, two movies are typically shown at one time; catch one on Tuesday and one on Wednesday if your summer morning schedule is always wide open. Each week will bring a new duo of movies. The movies shown are not brand new, but there is a wide selection of older movies to watch, from films such as The Pirates Who Don't Do Anything and Hotel for Dogs to Paul Blart: Mall Cop and Alvin and the Chipmunks: The Squeakwel. 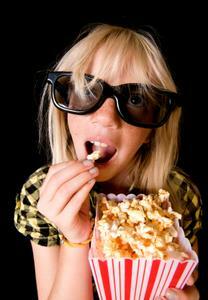 There's such a variety that kids of all ages can enjoy the selection of Regal free summer movies. To find out if a theater near you is participating in Free Family Film Festival, visit Regal Movies and locate your state on the drop down list. From there, you'll be given a list of participating theaters along with the movie lineup for the summer. You'll be able to plan ahead for the movies you'd like to see all summer. If you've already seen the two movies showing during a certain week, you may want to see something newer even though it won't be free. You can conveniently click to see the full regular movie lineup and show times from each theater's section on the page. Keep in mind that you won't necessarily be able to see the whole summer's list of new movies and show times in advance. Regal free summer movies, or the Free Family Film Festival, gives you a dependable, family-friendly option for those summer days when you're having trouble coming up with something entertaining to do. Since there are two movies to choose from during any week, even if you've seen one, you can still go see the other on either Tuesday or Wednesday. Have you been counting down the weeks until your child was old enough to behave in a theater and secretly want to catch up on several of the recent kids' movies that have been released? The Free Family Film Festival is a great way to do that-for free. Just remember to get in line early to make sure you and your child get seats.